I recently hosted a little get together with friends. 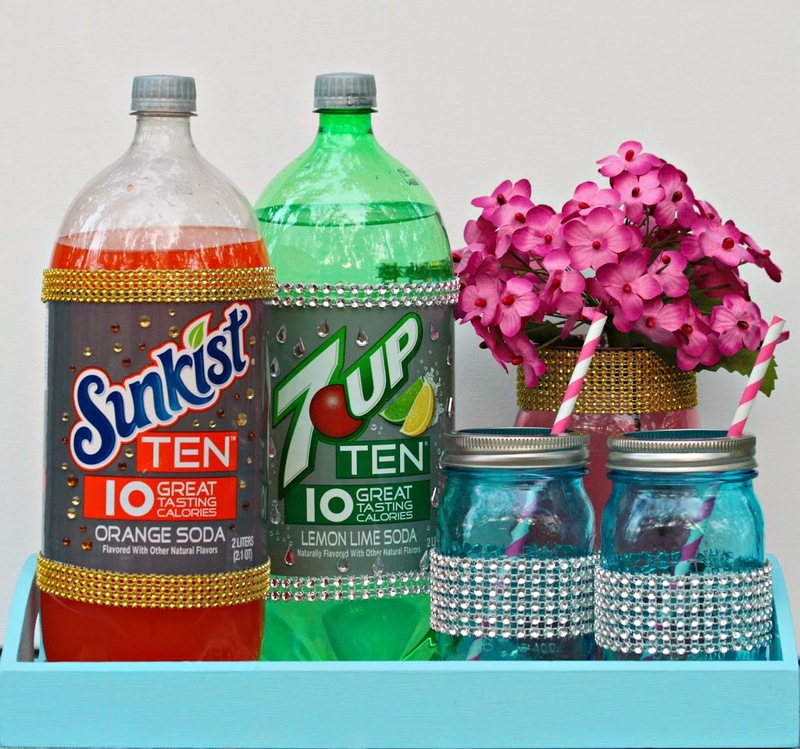 To keep things simple, I usually have liters of soda and disposable cups out for my guests. 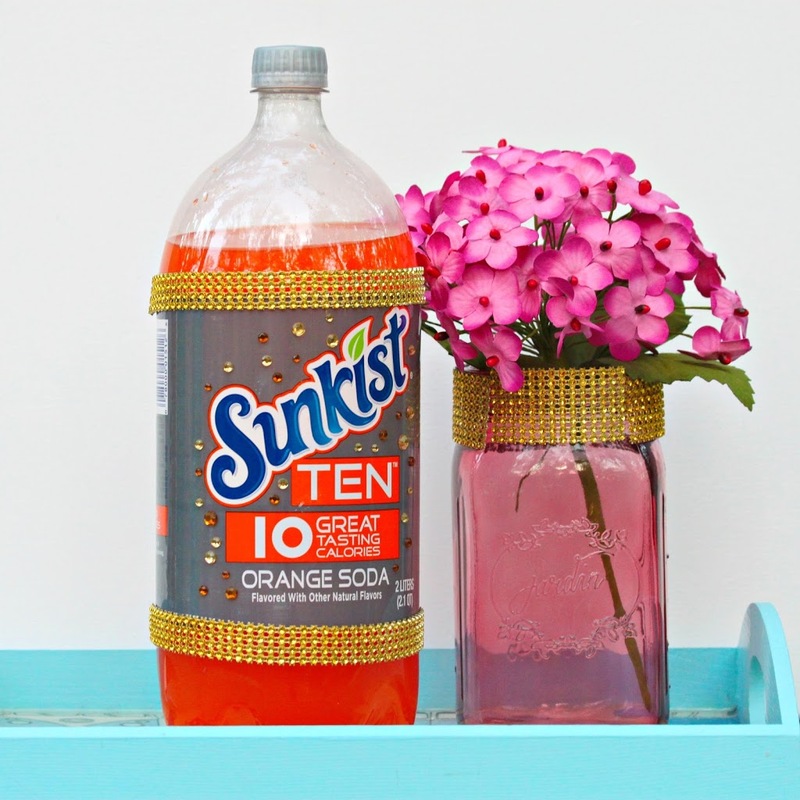 I wanted to step it up a bit, and make my beverage “bar” more full of sparkle. With a little bling and glue dots, I packed a lot of shine into a small project. Like a lot of you, one of my resolutions for the new year is to get fit. For me, that means not just physically fit, but personally fit as well. That involves make more time for friends. Like a lot of you, I often get so caught up in family, work, and other obligations that I forget to make time for myself. That includes making time to connect with friends. 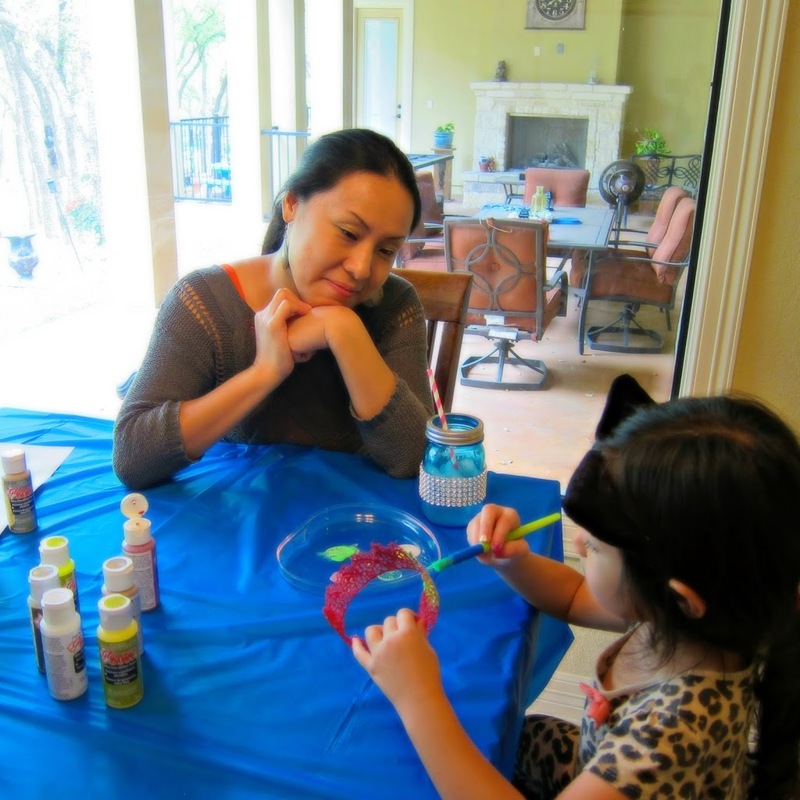 Since many of my friends also have young children, I decided it would be fun for all of us to have a sparkly, crafty playdate. I invited friends over so we could chat and relax while our little ones painted glittery lace crowns (tutorial here). 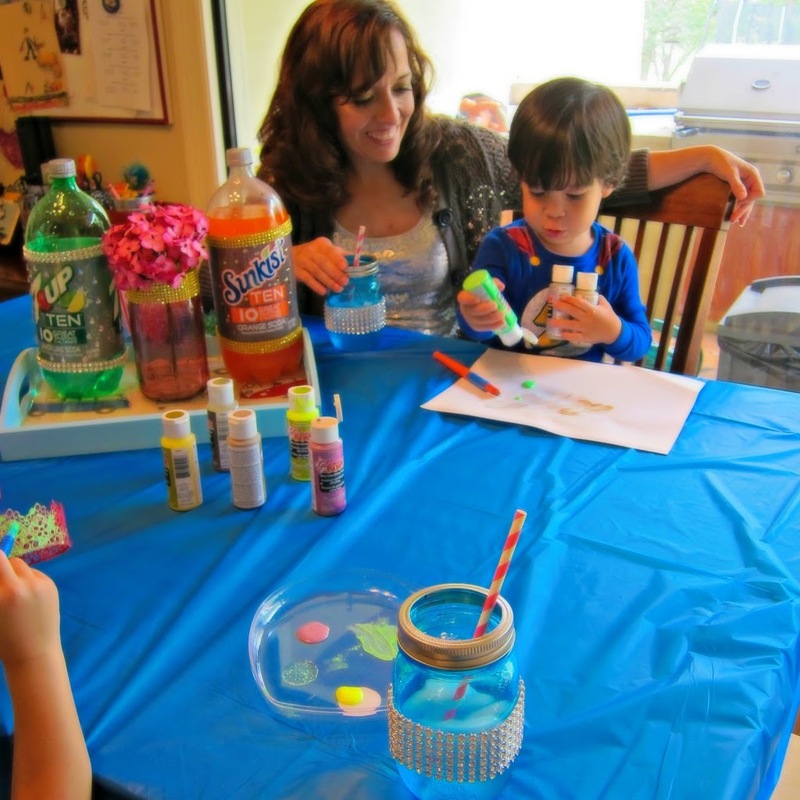 While the kids had fun painting, moms supervised while enjoying some ten calorie, full flavored beverages in blinged out mason jars. 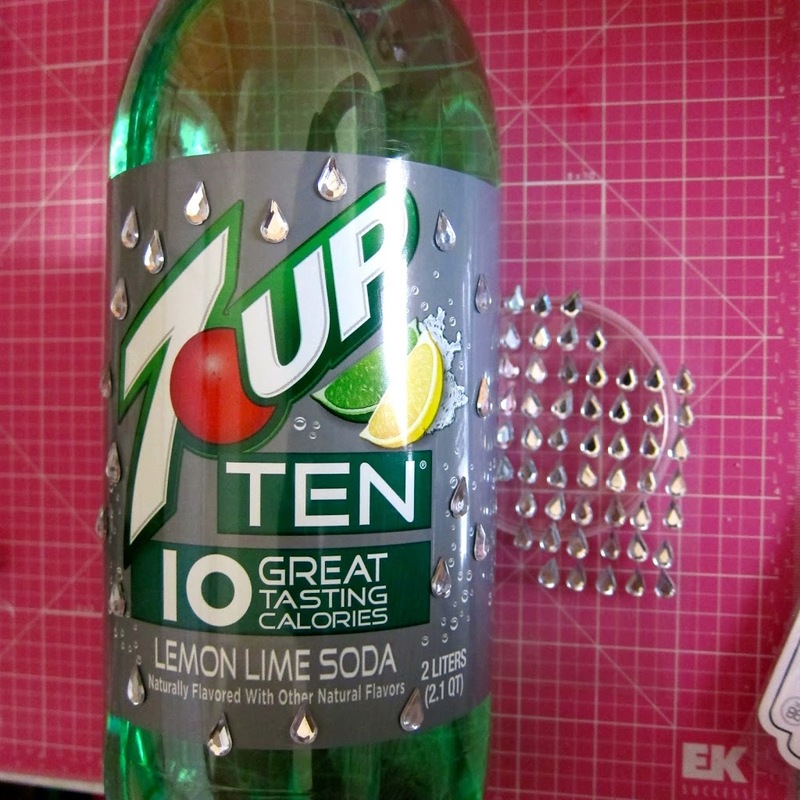 Step one: Adhere the adhesive rhinestones to the front of the TEN soda bottles to decorate them. 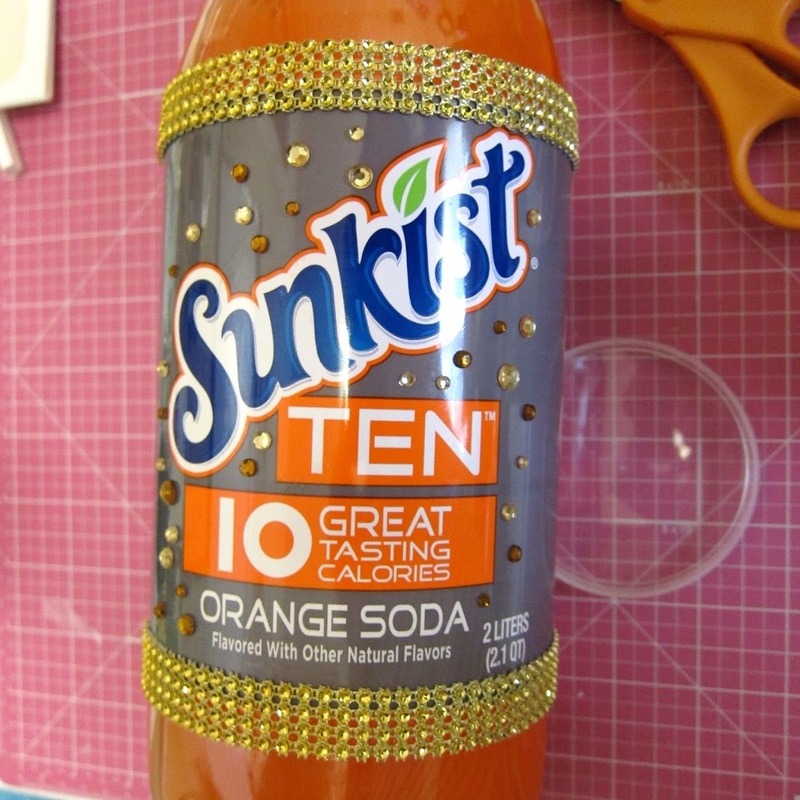 Step two: Cut a strip of bling on a roll to fit around the TEN soda bottle. Use the glue dots to stick the strips above and below the drink label. 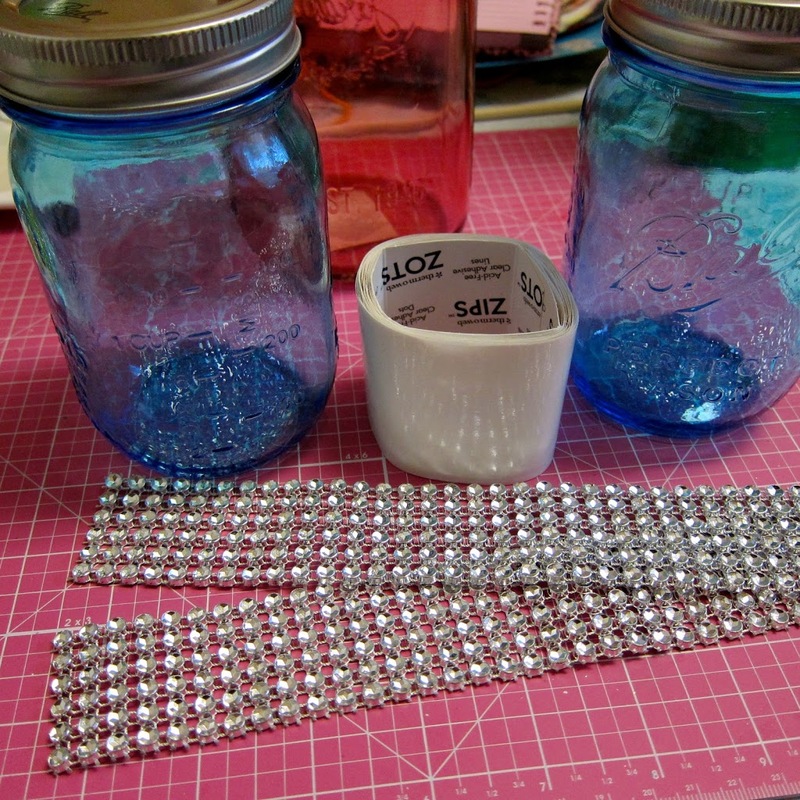 Step three: Cut bling on a roll to fit the mason jars. 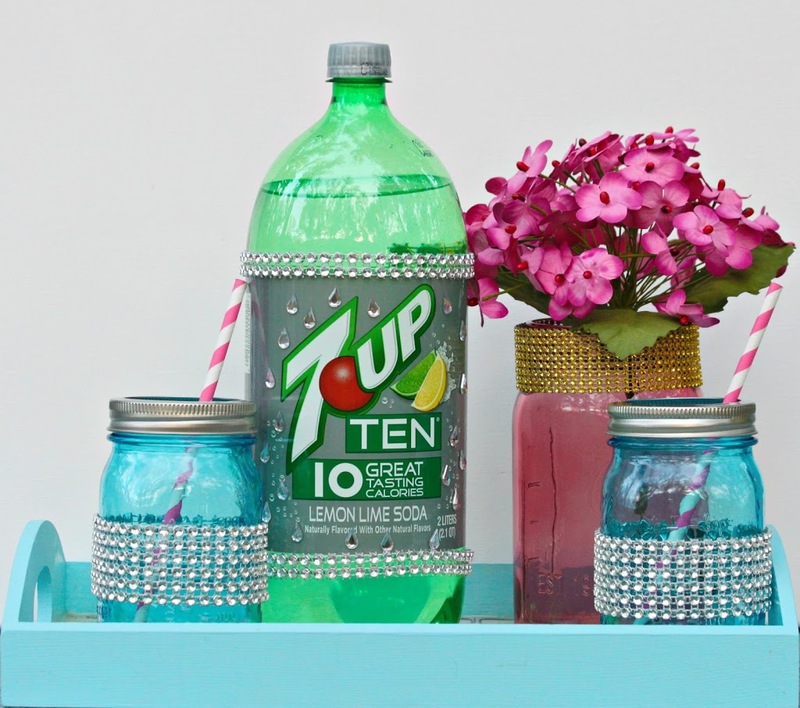 Use the glue dots to adhere the strips of bling to decorate mason jars. I used the small jars as glasses and the large jar as a centerpiece to hold flowers. Such a simple project packs a lot of punch! I love how what’s normally a boring beverage bar suddenly looks so fancy and “full” with just some sparkle and shine added to it. The kids had a blast painting their crowns. I used glitter paint to keep the mess to a minimum. $0.50 off of the purchase of TWO 2 Liter bottles or TWO 4-pack cans of 7UP TEN, A&W TEN, Canada Dry TEN, RC TEN or Sunkist TEN soda. However, if you were to share that digital coupon via email, FB, Twitter (there is a click to share function) you will receive a coupon that will get $1.50 off your purchase rather than just $0.50. Offer available while supplies last, from 3/27-4/17. 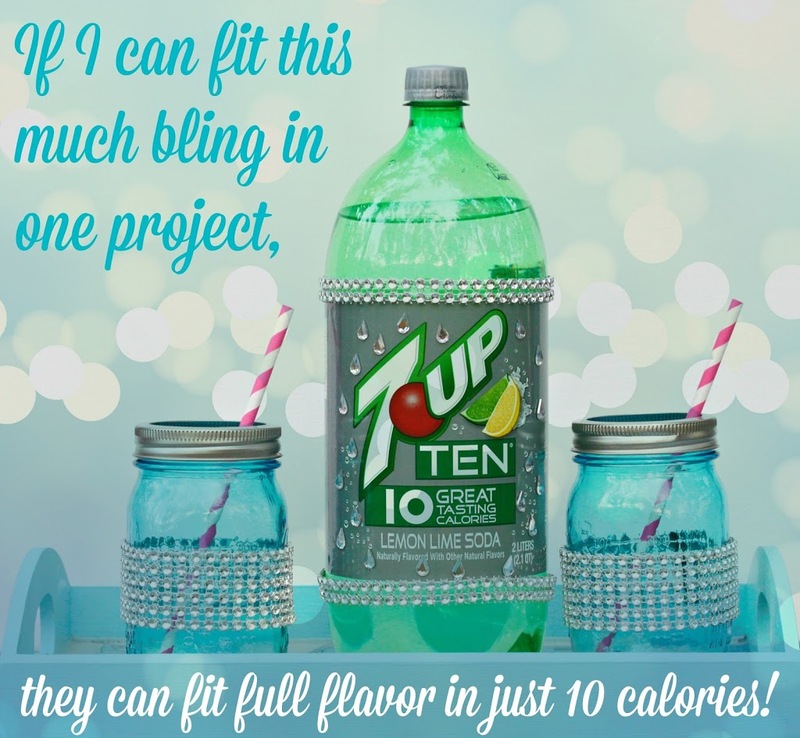 To learn more about the new TEN soda products, check out the website here, or visit Dr. Pepper Snapple Group on Facebook or Twitter. And remember to make time for yourself to SHINE! Our favorite is the 7up! Looks like a great mom playdate! 7Up is my favorite, too! Thanks! Mmmm, now I’m craving an A&W float!